About a year ago, we started our search for a new home. We found one we liked, and I remember we were sitting in our backyard after we had viewed the house the second time and discussed if we should go for it or not. We both wanted nothing else than to just get out of our rental that we lived (live) in, but somewhere we also knew that house wasn’t the one. We just loved the thought of moving to a new place (it was actually just across the street from the house on the picture above!).. So, we renewed our lease and decided to endure another year in the little house that never really felt like home. We started looking seriously about two months ago. We’ve found maybe a handful of houses we really thought (or some at least I thought) were the one. They have all had their pros and cons - one had a lot of character (that we like) but had THE longest list after inspection from a previous contract that fell through. One were in the perfect area (we’d love to move to the ‘burbs - Franklin! ), was within walking distance (my kind of walking distance, aka 40 minutes) from shops, restaurants and grocery stores, and had a great garage to build a studio in - but the sellers had the most unrealistic expectations regarding the house’s value so we couldn’t do it. One we just simply lost the bidding in to someone who didn’t have an appraisal contingency and one was too small. And where are we now? Well, we’re now going month by month on our lease so that’s great! We also made an offer on THE home today (hint hint: it’s one of the houses in this post). 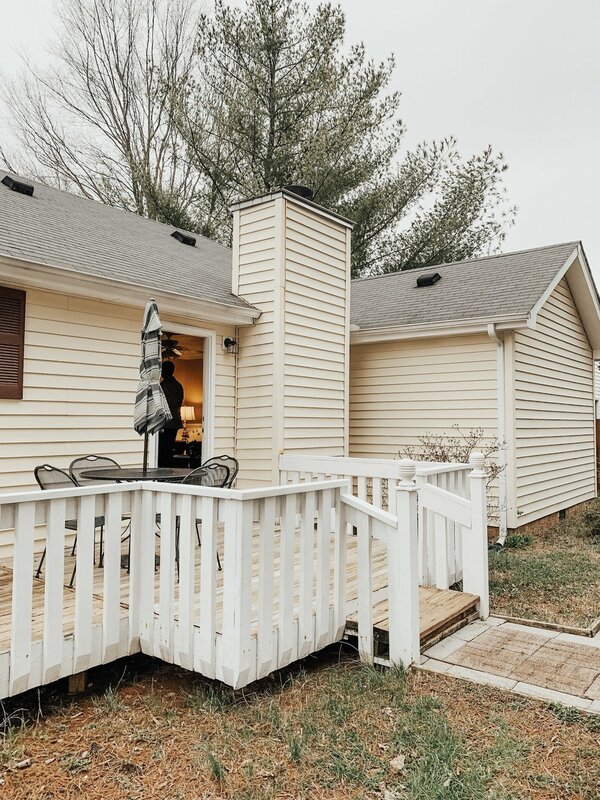 It just has it alllllll and it felt 100% right when we stepped into it… It’s so hard not to get attached to a house you really like when you’re house shopping, especially the ones you make offers on.. Like how can you not!? I’m already sitting here looking for new furniture! Ughhhh. I should know by now, third time we’re making an offer on a house within three weeks, that I shouldn’t have any expectations at all. So, I’ll do my best not to. Trying to think that if it’s not meant to be, we will find something else that is! And to be honest, it has just been better and better houses since we started so who knows what will pop up on the market next. It’s so much fun to shop for a house, but it’s also driving me a little bit insane from not knowing. Anyways, no matter what I know we’ll find some place that’s just right for us within the next few months! I can’t wait to share this journey with you all, because most likely we’ll do some updates to it and I’d love to share the progress here on my blog. Do Your Best Until You Know Better. Then When You Know Better, Do Better.